I have decided to publish most of the questions that were asked during my interaction with Nigeria Ports Authority sensitisation workshop at the corporate headquarters, Marina, Lagos. It was a four-day programme that spanned from December 17-20, 2018. The attendance was impressive. All the sections of the corporation, ranging from the administration to the workers in the field were present. They came to know more about this distressingly commonly and frequently perplexing problem called back pain. The workshop was tactfully organised by the Assistant General Manager, Occupational Health, Mrs. Ngozi Obikili who has decided to make the programme, yearly event. This problem of back pain has remained mankind’s oldest and most stubborn agony. The problem has been such a health issue that some health care professionals concerned with its care are still searching for the right solution. Paradoxically, it happens to be an ailment people hardly rush to hospital whenever they notice it. Although one expects the ailment to be of immense concern to health conscious citizens, surprisingly it elicits little attention. Unfortunately, some health care personnel seem unable to agree on the ideal treatment for back pain. While some advise rest, their colleagues recommend exercise. Some are strong believers in the pain relieving properties of some drugs, while others are equally firm in their advocacy of massage. This confusion has attracted industrialists, especially producers of sleeping mattresses to catch up on this to produce hard surface mattresses, called ‘orthopaedic,’ of course, with their different brand names. They claimed that it ‘cures’ back pain! Well, it is left for the users of these different ‘orthopaedic’ mattresses to judge if it really does, as claimed. As a practicing physiotherapist with primary interest in back pain challenge, coupled with years of experience and incisive knowledge of biomechanics of the spine, I have this to say: Despite this confusion, there is specific treatment approach to this monster called back pain, which meet with almost universal approval. With skilful physiotherapy, a victim of even intractable back pain gets his/her pain eliminated or dramatically reduced within minutes. Nevertheless, let us talk about precautions on the link between beds and back pain. No matter what position you lie in, the pillow should be under your head, but not your shoulders, and should be a thickness that allows your head to be in a normal position. Try to sleep in a position, which helps you maintain the curve in your back (such as on your back with a pillow under your knees or a lumbar roll under your lower back; or on your side with your knees slightly bent). Do not sleep on your side with your knees drawn up to your chest. You may want to avoid sleeping on your stomach, especially on a saggy mattress, since this can cause back strain and can be uncomfortable for your neck. Select a medium-firm mattress that does not sag. If necessary, place a board under your mattress. You can also place the mattress on the floor temporarily if necessary. If you’ve always slept on a soft surface, it may be more painful to change to a hard surface. Try to do what’s most comfortable for you. The above advice will benefit a majority of people with back pain. If any of the above guidelines causes an increase of pain or spreading of pain to the legs, do not continue the activity and seek the advice of a physician or physical therapist. The back pain care foundation shall be carrying out free physiotherapy intervention for back pain sufferers in Onitsha metropolis in the month of February, 2019. 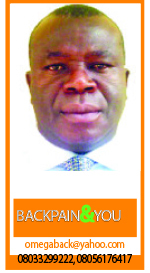 The free exercise is under the auspices of a pharmaceutical company in Onitsha (Pax pharmacy Ltd). 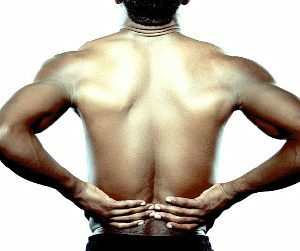 Sufferers of back pain in Onitsha and environment are advised to avail themselves of the opportunity and get respite for their agony.